I'm fascinated by computer systems that interact with the physical world and how we interact with them. A trained engineer and self taught hacker, writer, and machinist, I've had a startup and then become a consultant in the healthcare and pharmaceutical industries. I'm now a project manager focused on people and process instead of just technology. Impressed by the Renaissance men and with a love of learning I'm also passionately a singer, guitarist, bicyclist, brewer, windsurfer, sailor, videographer, armchair philosopher and futurist. If you want to access the old site click here. Clinical trials recruitment is a significant challenge for bringing a new therapy to market. New therapies go through stages of clinical trials to demonstrate safety and efficacy. Especially for acute or rare indications, recruitment can be extremely difficult, causing delays and expenses besides shortening the window in which pharmaceutical companies have exclusive marketing rights. 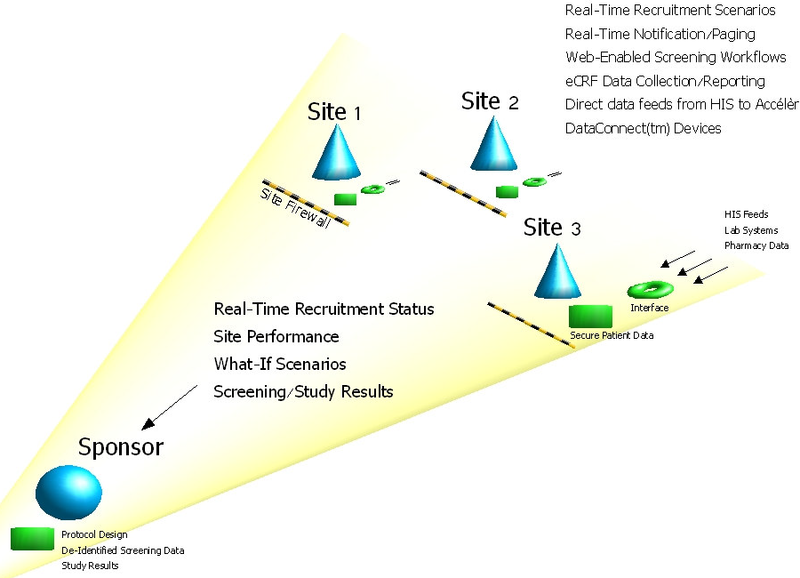 In 2003, I was employee #3 at a startup which wanted to reduce the time required to recruit for trials by using newly available electronic health records. The system would aggregate electronic health records from healthcare facilities to not only automatically screen patients for enrollment but to allow trial designers to run what if scenarios to determine the feasibility of a trial. Previously, trial designers relied on experience and recruitment was as much luck as art. 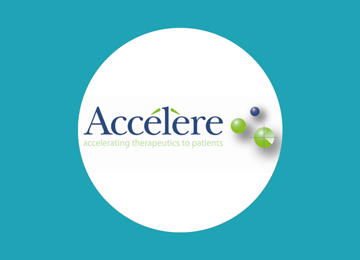 Accelere, Inc used consultants to develop a 1.0 product which would be piloted at several sites based on a mockup that was successfully used for a research trial. While it worked, it suffered from problems typical to early products built using a waterfall approach with and without a well well defined customer base. This had to be accomplished with minimal resources while still supporting concurrent implementation work. I was familiar with modern project management methodologies and customer focused approaches to prioritizing development and was given the honor to lead the development of the 2.0 software. I approached the design from both the end user, internal support, and high level business perspective and used quantitative metrics to make sure performance improved. We needed to grow to 30-100 sites within 2-3 years before additional funding would be available to build a 3.0. Going against the assumptions from 1.x days, the primary end users were nurses at health care institutions-- easily verified with login audit trails. Due to gaps in EHR systems and gaps in EHR coverage, recruitment required manual entry via electronic case report forms. Action by nurses to complete these forms was critical for screening patients and increasing recruitment, which is the metric that got us paid. We could quantify this time using the time alerts were sent and when the forms were completed. We reached out to the nurses to get their take, not just that of a high level manager without familiarity of what things were like on the ground. In one meeting, I broke down the installation and configuration process to determine pain points. Through our relationships with end users, I was able to prioritize interface improvements, and as an engineer, determine the best technical solutions. The 1.x system required 40 hours to install and its broad but minimal feature set were a turn off to both end users and those of us supporting the application. It also relied on commercial software that was expensive to license, and due to one dependency, required expensive Sparc hardware and also scaled poorly. I demoed and selected mostly free, open source software, prioritizing software that could be quickly setup and configured as long as it generally met our requirements. Installation time was reduced by 90%. Licensing cost was dramatically reduced. The system also scaled 10x better - for example, 2.0 could perform as well on 1,000,000 records as 1.x did on 100,000. It ran on cheaper hardware too, so our hardware costs dropped to about 1/3 and it took 10x longer to need additional hardware. 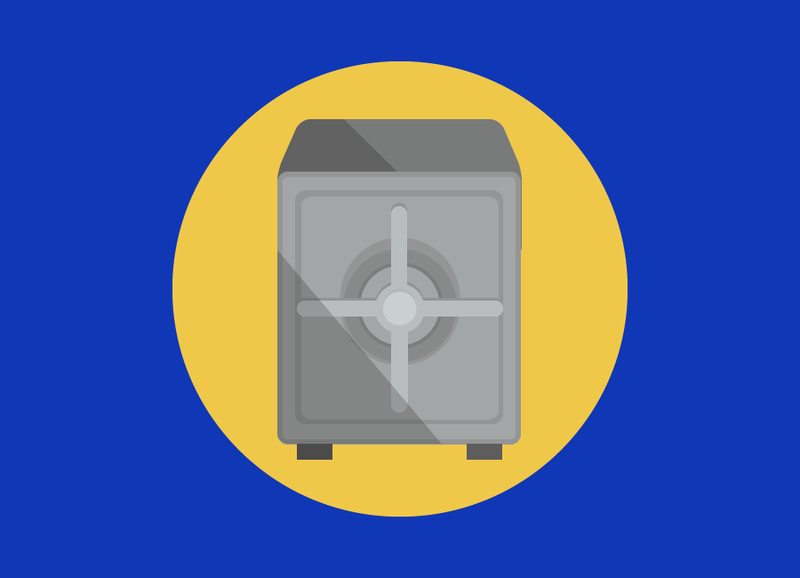 The form system for capturing eCRFs was painful to configure and difficult to use. I added client side validation and revised the UI using Web 2.0 best practices. I utilized a reporting module I'd been working on for 1.x that could be used to quickly deploy additional views for customers only when needed. I designed a scheduling system that kept nurses from being paged when off duty. This one feature alone made them much happier. Another significant challenge was processing "standard" HL7 electronic health records. Each site and source within a site had their own idea of what that standard was and 1.x required constant code updates to handle an ever expanding list of data sources. I designed a system that used identifying information from the source system to process the data using a source specific configuration file. I generated an XML schema so the configuration file could be easily edited in off the shelf software. Records could also be quickly compared against other systems to start with a similar template rather than from scratch. That was the big take away for me. You can get all the engineering right, but that's only one slice of the pie. The customers and problem and path forward need to be well defined and validated before starting any engineering work. Even if you get that right, it's a roll of the dice. Be smart, ask for help if you need it, and work in a way that you can tolerate the few cycles it takes to be successful. 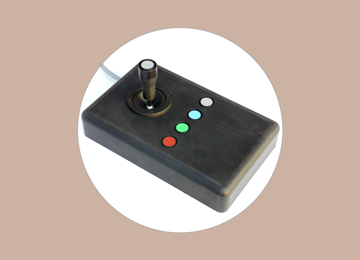 Neurology researchers use joysticks as a cost effective pointing device for study subjects in MRI machines. The interference caused by the operation of the MRI machine and the potential impact to image quality from solid state electronics within the machine's bore limits choices to simple analog input devices. I sold a commercial, off the shelf consumer joystick refurbished for fMRI use but was aware many improvements could be made. I designed the v2.0 joystick to address these gaps and streamline the manufacturing process. Additionally I knew that the commercial off the shelf joystick might at any moment no longer be available, so I needed sources for any fMRI compatible parts that could not be made in house. I took the list of user focused and internal gaps and came up with a list of possible solutions. I also reviewed features to determine if they were really useful or not-- for example, airplane style joysticks often have many buttons on the yoke and this was carried over to the fMRI joystick. In my conversations with customers, however, they only ever used one button. I came up with a design that would be acceptable for different manufacturing processes (subtractive machining, 3D printing, and possibly injection molding if things went really well). I opted for a low, long, wide, and heavy base so that the joystick was stable without any fixed mounting to a table. I selected a joystick assembly used for pointing security camera systems which could be operated with one or two fingers. This minimizes subject motion and because it is an industrial product will likely be available for years to come. Also, due to it's use of non-magnetic stainless steel, it would be unlikely to wear like plastic products. I designed the joystick to have a height that would clear even the smallest bore I had encountered. I designed a simple USB controller based on an Arduino. I outsourced the PCB layout and manufacturing. Finally, I added some additional touches to make the joystick cosmetically attractive. My first experience in ordering directly from China and the turn around time on the joystick assemblies was quite long and varied: 8-24 weeks. I usually quote 4-6 weeks delivery time to customers so now I had to maintain a stock of joystick assemblies. Also, it seems that more than one factory was sourcing the assemblies and a subset were of unsuitable construction. I ordered extra units and discarded the 10 or 20% that were unacceptable. The joystick assembly used a non-standard potentiometer shaft (at least in the West). I was able to source custom potentiometers from an East Coast manufacturer and I purchase enough supply for one to two years production and reorder when needed. Since the potentiomers are hand made, they are not all exactly the same. To compensate they need to be checked before use which is an additional step. Additionally, I made significant changes to the joystick controller's firmware to compensate and to simplify the end user experience. By saving tuning parameters in EEPROM, the joystick performance is linear across it's entire range right out of the box, producing better results for customers. A row of 4 buttons was included on the base plate in case customers needed additional input buttons. In practice, these were almost always included since it was easier to build up a stock of joysticks than to build them only once a purchase was made. This added additional assembly time. 3D printing, even with smoothing, produced parts with a rough finish that absorbs dirt and oils from hands, so I had to devise a procedure for customers to clean the joysticks. Customers are very happy with the design. It does not require mounting, is easier to operate and produces better results for the researchers. Several customers also called it "beautiful" which as a designer made me happy. I had planned to use a phased approach to streamline machining and this process worked well. For the initial few units, I outsourced all machining to a local machine shop. This was costly and turn around times also fluctuated wildly; additionally, they preferred expensive Delrin. Next, once I had gained some CAD modelling experience I made some tweaks and began to use an outsourced 3d printing service to produce smoothed nylon parts. Now I was also able to fulfill any customers requests for minor changes easily but with some drawbacks. Turnaround time was 2 weeks (except that one time customs sat on my order...). Finally, once I acquired a CNC machine, and after transitioning another, simpler, product to subtractive machining, I made additional changes to streamline assembly and facilitate subtractive machining (ie, removing features that required tool changes). 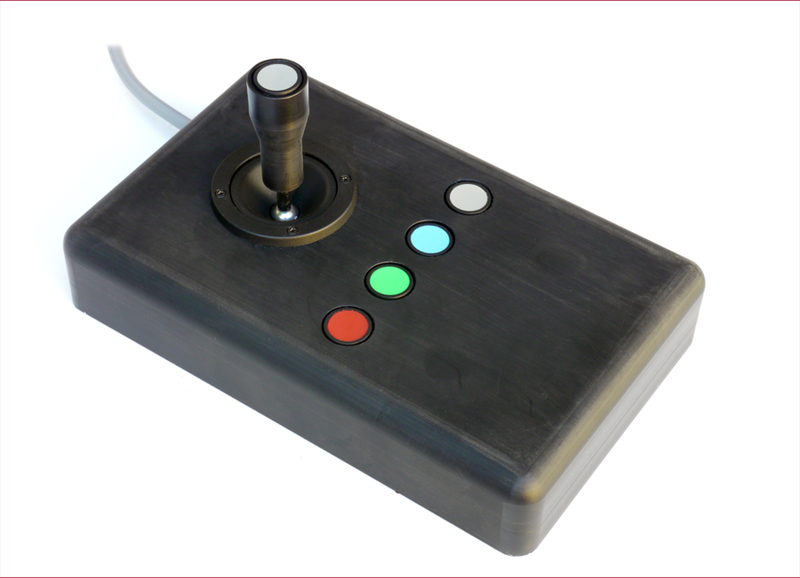 Now a new joystick can be milled in 10 minutes from common and inexpensive plastics. The joystick handle is still 3D printed and then painted for a finish not affected by dirty or oily hands. The firmware update required to compensate for the potentiometers was actually positive. It automatically accounts for variations in manufacturing and saves calibration and identification data in EEPROM, speeding device build times (ie, joystick axes can be wired backwards or to the wrong pins and the software corrects for this). In 2005 I started homebrewing and met with instant success. I pulled in several friends but one, Eric, immediately took to brewing and outpaced us all combined. He also made the most consistently tasty beer. Quickly deciding he didn't want to do his day job forever, he took the leap and went to UC Davis to become a certified master brewer. However, as glorious as the master brewer title might seem, it's still a low paying job that won't support a family in the SF Bay Area. Only the owners of the brewery really make decent money. So Eric was faced with the problem of creating a set of his own beer recipes without years of free, off the clock use of a commercial brewing system, the path that most brewery owners took in their twenties before launching off on their own projects. We decided to build the minimal system needed to approximate commercial operations. It would be consistent, controllable, and far cheaper and practical than the six figures and tens of barrels of output of a commercial facility. It would also be able to operate in a residential garage, ie it would run on residential water supply and not exceed 80 amps of current at 240 volts. We combined Eric's hands on and book knowledge of brewing with my familiarity with electronic controls and pharmaceutical manufacturing and also Eric's neighbor's knowledge of electronics manufacturing. I ran the development as a project using my experience as a PM in pharma. We did our best to understand the processes and define requirements and success metrics. Since a major problem was sourcing appropriate parts, we came with plans for all the components and backup plans if those fell through. We met weekly to keep the project moving along. We imagined a 3 tank, two barrel (55 gallon) system that could eventually be run entirely autonomously (except for initial setup and cleaning). The feature set was phased such that we could get a minimum set in the first phase and then improve the nanobrewery over time. 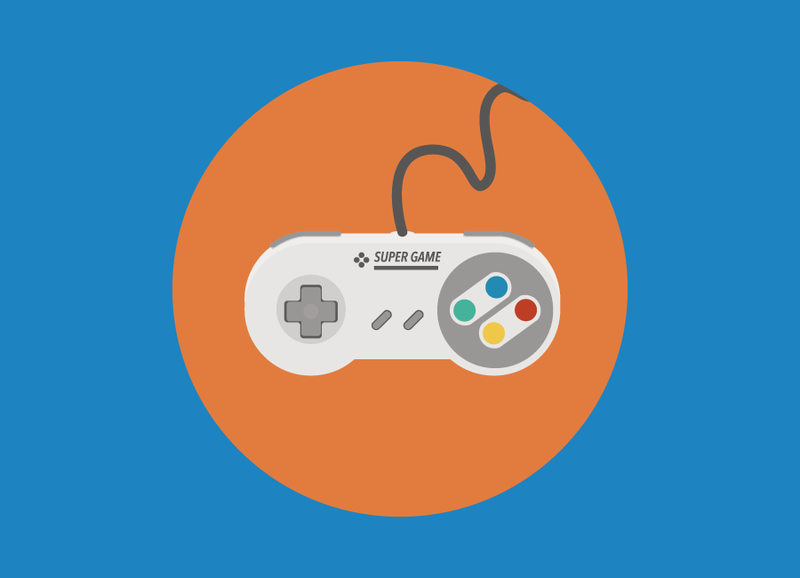 I decided to take on the control software development myself rather than start with a bare bones solution or an off the shelf solution. We didn't think off the shelf software would work for us in the long run. There was a significant learning curve stepping up from the low power controls applications I had previously developed. Things blew up a lot both due to errors on my part and the unsuitability of hobby electronics and software for large scale manufacturing. In the end, I had to restrain my engineer side and implement the simplest solution that I could think of - a minimal control panel built in the open source Processing software using simple industrial grade components. 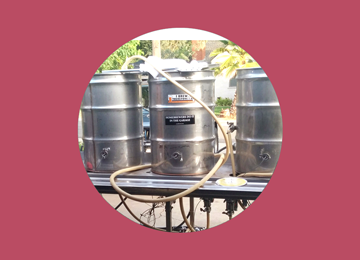 The final transfer from the boil kettle to the fermentor required the boiling temperature liquid to be cooled as quickly as possible to approximately 68F for transfer to fermentation. We accomplished this by circulating the contents of the boil kettle through a Y junction to a heat exchanger. The Y junction contained a proportional valve which could be adjusted to vary the flow through the heat exchanger so that the wort exiting into the fermentation vessel was at the correct temperature for the addition of yeast. However, the heat exchanger would clog every few minutes with solids and require ten minutes of cleaning. These solids were left over grains and hops which remained suspended in the liquid and were sucked up during pumping from the kettle to the Y junction and onwards. A 10-20 minute automated process step turned into a 4 hour manual ordeal. Based on Eric's education and my previous experience building a cocoa bean winnowing machine for a chocolate company, we knew that we could circulate the wort to separate the contents based on their density. A cocoa bean winnower, for example, can separate cocoa bean from chaff by using a cylinder with a conical bottom and air injected at the correct angle. The lighter chaff rises to the top and is ejected through a waste port while the heavier nibs fall to the bottom of the cone for collection. Since we could not practically alter the existing boil kettle or the angle at which we recirculated the wort back into the kettle, Eric built and tested several inserts, one of which caused all of the larger solids which could not pass through the heat exchanger to settle on the bottom of the boil kettle. We altered the boil process to circulate the wort so that once the boil was done, any troublesome particulates were at the bottom of the kettle and away from the exit port. We skipped on adding non-computerized safety interlocks. Despite great care, we still managed to destroy parts by operating the system incorrectly. We finished after 1 year instead of the original 6 months. While it was delivered late, we were realistic with our compromises and jettisoned problematic features without much ceremony so the project felt as if it ran smoothly anyway. The project cost about double the initial estimated amount, which was still a lot less than commercial options. We had expected that it might cost an extra 1/4 or 1/3 since we'd break things or find parts unsuitable, but we found that interactions between components were more difficult to manage. For example, if part A is not appropriate for the design, we'd expected we could just replace it with another part B; however, one change tended to cascade and require further downstream changes. The nanobrewery works! In fact, it worked so well, there were few changes in the first 18 months of operation. The project ran very smoothly. We faced a lot of challenges, but the preparatory work we did and the weekly meetings kept it moving along and ensured we were able to address each problem in a systematic way. As a manager, I don't like to have people burn out on a project or task. We were more excited by the end than when we started. 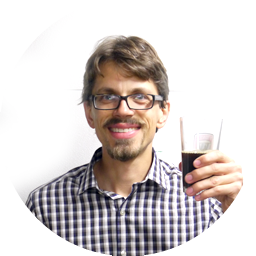 The software was released as OpenBrewery.org 1.0. 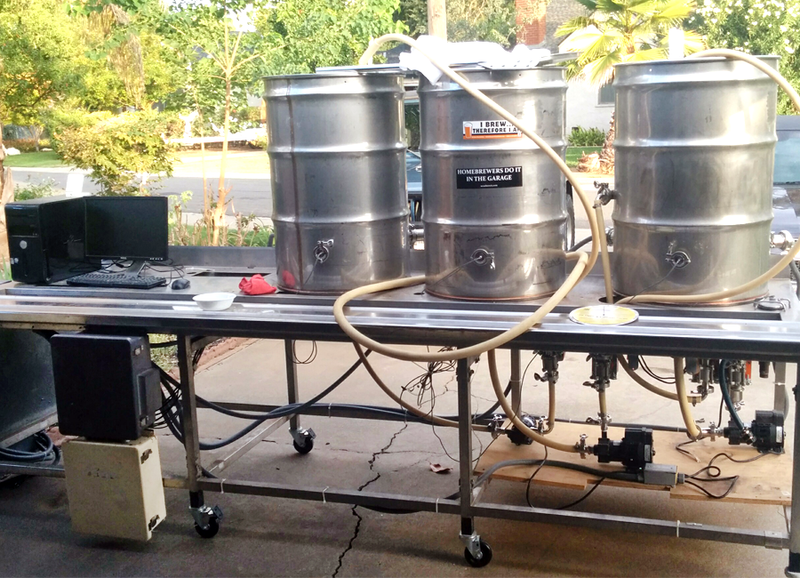 Subsequently I have developed version 2.0 to accommodate planned improvements to the nanobrewery and use a more modern architecture. How is mountain biking a portfolio item? I approach sports the same way as any other project: defining goals, metrics, and a timeline and methodically working towards accomplishing those goals. One year is usually a convenient time frame. Many sports are seasonal and require some off season training to get fit and work on specific technical skills. The season begins and then you put it all together. Additionally, some days or weeks will be worse than others. I step back and remember that this is a long term goal and try not to get demoralized. I like to pick at most two aspects to work on in any one session. Sports are fast paced and there isn't time to contemplate a 30 point checklist. For the MTB off season (as much as there is one in the SF area), I focused on intervals on a stationary bike to keep my endurance up and set up technical challenges in the back yard. Rope or pieces of 2x4 can be used to demark imaginery single track or make skinnies. I hauled a pile of dirt by hand to build a simple pump track (which was great exercise itself). For the biking season, I chose a trail that contained all the technical and physical challenges I wanted to focus on and timed myself to set a baseline. In this case, it was 30 minutes. Each session, I picked two techniques to implement and once I felt comfortable with them, I retimed myself. I also spent time at the bike park where it's easier to isolate specific techniques for practice and repetition (muscle memory is so important!). Additionally, as an engineer, it's hard not to tweak your gear as well, which requires education and experimentation. As of January 1 2016 I'd dropped my time down to 15 minutes, most of which I'd gained through better technical skills and confidence on the downhill section. I remember once hearing Malcom Gladwell say it takes 10,000 hours to become an expert at something. I've combined that with the 80/20 rule to get pretty good at a lot of things. Long ago, I'd attacked hockey in the same way as mountain biking. After 1.5 years I'd had 2,000 hours of ice time. I was an intermediate level player who could hang in the advanced league, which I figured made sense -- per the 80/20 rule, I ought to be 80% of the way to being an expert. Strangely, I did even better in six months as a goalie, most of which I ascribe to having learned the right way from good teachers, in contrast to ice skating and stick handling, which I'd learned the wrong way previously and then had to unlearn to be an effective defenseman and forward. 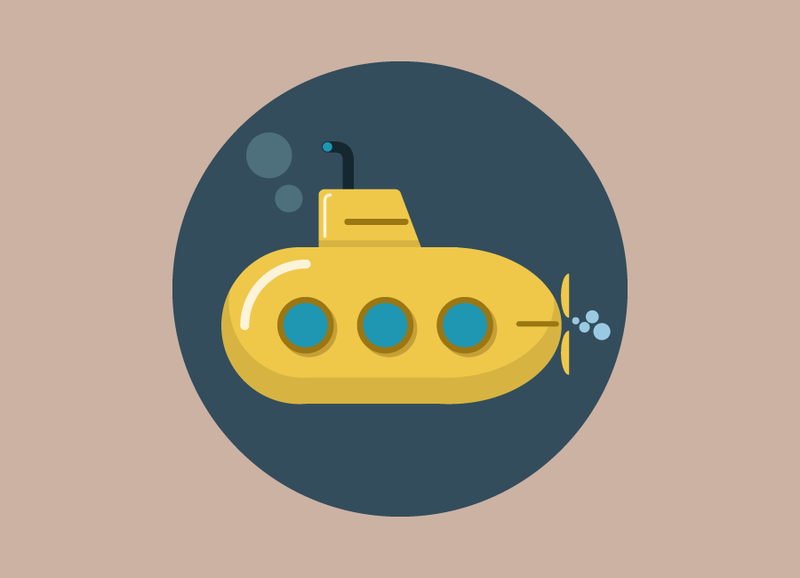 Some people get their kicks by deep diving and becoming true experts in one topic. For me, the thrill is in having a palette of skills and drawing from different areas to approach challenges in my life. You don't have to agree, but put curry sauce on your pierogi and tell me it isn't awesome!